Located in Vile Parle, Mumbai, Vriksha nursery recently relocated 18,000 plants, shrubs and trees within 48 hours from a property that was going into redevelopment. 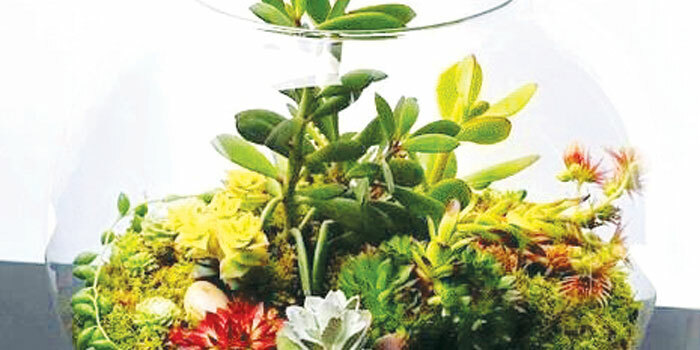 Offering services to transplant and relocate plants to any part of the country, the family-run enterprise is owned by Shaan Lalwani and houses at least 100 different varieties including an array of carnivorous, insect repellent and aromatic plants. a�?My goal is to get people more interested in gardening and get acquainted with the concept of urban farming,a�? says the 28-year-old horticulturist who has completed his mastera��s in Landscape Management from University of Sheffield, UK. 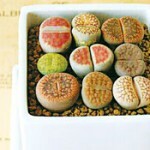 Offering lavender and cinnamon stick diyas, herb baskets and landscape trays for gifts, a recent addition to his nursery is the Lithops from South Africaa��plants that look like rocksa��and a new variety of edible maple red hibiscus. 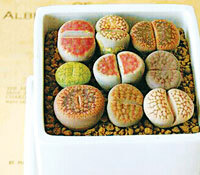 The bonsai section houses two to 65-year-old bonsais that cost anywhere between Rs.700 and Rs.5 lakh. Their glow-in-the-dark bioluminiscent plants and orchids with bird figures at the centre especially caught our attention. Also popular with Bollywood productions, Lalwani has worked on landscaping and setting up temporary gardens for the YRF and Dharma banners. The upcoming Sanjay Leela Bhansali movie, Bajirao Mastani, also features his horticultural skills. While most plants and herbs are locally grown from seeds sourced from around the world, the pitcher plants, orchids and Dutchmen pipes are from South East Asia. a�?Children are fans of the carnivorous plants section. The fly traps, pitcher plants and Dutchmen pipe are interesting ways to keep out mosquitoes,a�? says Lalwani. Meanwhile, if your green thumb is itching for action, you can get Lalwania��s tips and pointers on flora across the world through their Facebook page and blog. ood news for the space crunched. As you pack away your Diwali decorations this season, you dona��t have to worry about mould any longer. Besides 2,000 different storage options, the Australian brand, Howards Storage World, brings to the city products like the Damprid, which can be hung anywhere in the house to eliminate moisture in the air, giving you a mould-free home. Launched last Sunday at Phoenix Market City, the store primarily offers storage options for your homea��right from your bedroom to your garage. a�?These products make your life easier. Especially for the people who are busy, our products not only consume little space but are designed in such a way that they can accommodate lots of things at the same time,a�? says Balachandra Yadalam, managing director of Bangalore-based Skanda Retail a�� the master franchisee for Howards Storage World in India. For those with a shoe fetish, Howards has the a�?Over the door shoe organisera��. 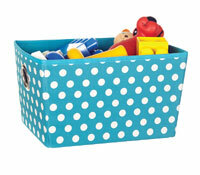 Made of PVC, the organiser can be attached with hooks behind your bedroom door ensuring the shoes are stacked securely. You can also have your own clothes valet for hanging your suits and accessories at the end of a long day, instead of scrunching them up in a cramped wardrobe. Fashioned from bamboo, the stand has a shoe compartment, jewellery tray, and a trouser, shirt and jacket rack. Similarly, the Vacu Vin Cutting Board includes a sliding drawer for waste, non-slip rubber feet to keep the board from moving on the counter, and a double sided chopping board with a juice drain on one side. Next, Yadalam points us to the Elfa shelving systems that offers wardrobes, laundry shelving units, pantry solutions and more. He says, a�?The Elfa products are very useful because apart from storing a lot of products, they can also be customised. 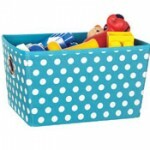 You can change the shelves or add more compartments as and when your needs grow.a�? Expect valuable advice on living clutter-free and on picking the right products on your visit to the store, as the managers and staff have undergone a training programme from Australia. The brand, which already has stores in countries like Singapore, New Zealand and Canada, debuted in India in 2010 with the first store in Bangalore. Hyderabad being their next destination, they aim to launch at least 30 stores across India within the next five years. 1.Their ornamental figures with a chrome finisha��in shapes like umbrellas, the Eiffel tower, swans and elephantsa��double up as stylish ring holders. 2. The smart Undershelf Mounted Basket that fits into unused vertical spaces is easy to install and made from heavy duty chrome steel. Ita��s strong enough to hold tins and jars. 3.Do try out their White Magic sponge that promises to use only water to erase stubborn marks.A� It is made from fibres 10,000 times finer than a human hair. They are not trained singers, but when they take the stage everyone sits up and listens. 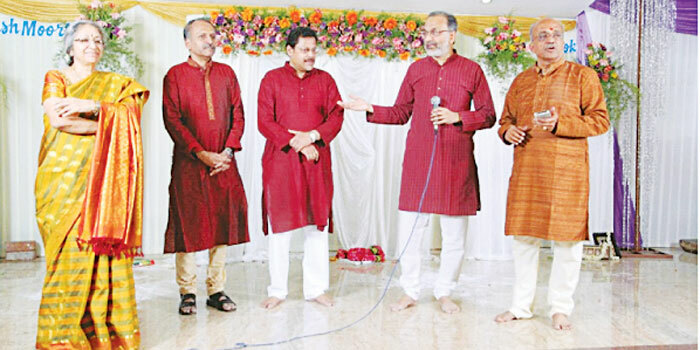 Geet Gaata Chal (GGC), the nine-member music troupe that has performed over 50 shows since they picked up the mic in 2012, is quite unique: by day, they are professionals (in IT, consulting, advertising and the like) and by night, they are singers belting out songs by legends like Mohammed Rafi, Lata Mangeshkar and Kishore Kumar. a�?We all have a passion for music and, I believe, if you have an eye for detail, youa��ll get the nuances and be able to emulate a singer beautifully,a�? says G D Sharma, the founder-convener of the troupe. After performing at events in Chennai, Bangalore, Coimbatore, Pondicherry and Mumbai, GGC is readying to perform their first-ever concert in the city. a�?It is dedicated to the people here, whoa��ve encouraged us. Ita��s our way of saying thanks,a�? says the 60-year-old, adding that ita��s also a chance to invite family and friends to hear them sing. The Retro Music Nite, to be held at Sir PT Hall in T Nagar, will feature songs from the 50s to the 70s. a�?Thanks to our singers, we have a wide repertoire. We sing songs in languages like Hindi, Tamil, Bengali and Malayalam,a�? says Sharma, explaining that they use high-fidelity original soundtracks for music. a�?Though we havena��t expanded our troupe, we do have a panel of reserve singers, who bring with them their own specialisations,a�? he adds. THE HILLS are alive with the sound of music. 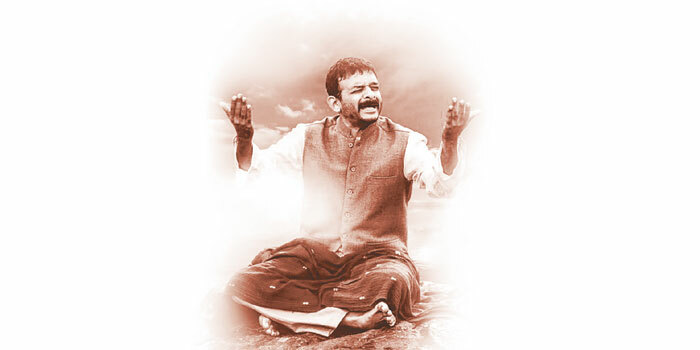 Director Jayendra Panchapakesan has captured this emotion in his movie, One, which features Carnatic singer T M Krishna singing renditions in forests, by lakes and hills. Instead of the mundane sabha performances, this concert film will have 10 songs by Krishna in different languages like Tamil, Telugu and Kannada. a�?All the songs are relevant either to nature, location, time of the day or the ambiance,a�? says Panchapakesan, who is well-known for Margazhi Raagam, a film music concert made in 2008 with T M Krishna and Bombay Jayashri. 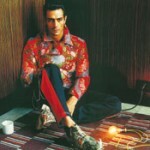 According to the ace ad filmmaker and director, One creates an ambiance that will help the listener lose himself. a�?I wanted to push the boundaries and create a film where nothing comes between the art and artiste, music and listener. When you are listening to a song in a concert hall, you do not become one with music. You are still a bystander. This film will help you become one with music, thus, the name,a�? explains the 56-year-old, adding, a�?The raaga, song or tune does not matter. Everyone likes jazz, they just dona��t know it yet,a�? 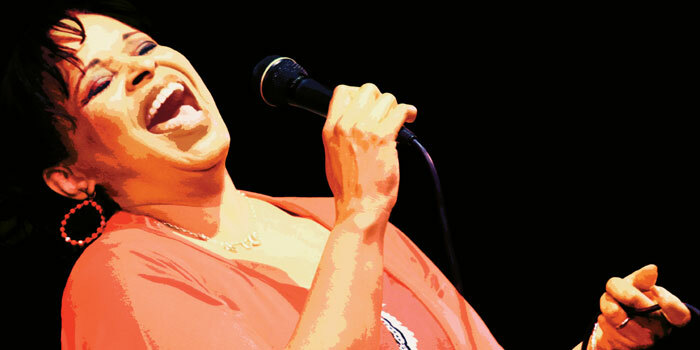 says world-renowned jazz vocalist Deborah Carter, who is currently in Chennai to perform at the Taj Club House. a�?Indiaa��s always been on my wish-list of places to visit,a�? she reveals. This is her first time here and even before the performance, she is involved in a workshop (at the American embassy school in Delhi) to give youngsters a look into the elements of jazz, its history and how to keep it fresh. Carter got into jazz almost by accident. a�?It found me. All the cool kids in high school whom I wanted to hang out with used to listen to it. So I had to pretend I liked it, too. And then I got hooked,a�? says Carter, who was born in America, raised in Hawaii and Japan, and lives in Netherlands. Having spent time in Spain when there was a lot of Latin American immigration, she says, a�?I learned to do the music I wanted, with a lot of Salsa and Tango and Brazilian influence.a�? Carter describes her style as a�?Metropolitana�?. a�?All the big capital cities have so much variety to them, in everything from their music to the food. I want my work to reflect an integrity between all the different kinds of jazza��traditional, R&B, everything.a�? She modernises the songs of such jazz-greats as Duke Ellington, adds lyrics to instrumental pieces and so on. The pieces she singles out are Ellingtona��s Purple gazelle and Harlem Nocturn. Other influential artistes she mentions are Louis Armstrong and Charlie Parker. With Carter is bassist (and husband) Mark Zandveld, drummer Gunnar Graafmans and pianist Leo Bouwmeester. a�?All the guys are great,a�? she says. a�?Theya��re talented and give me a lot of variety, which I love.a�? She performed in China earlier this year and observes, a�?People in China are really curious, it was very interesting. But therea��s a lot of warmth and openness in India. I do hope to come back sometime.a�? She holds Indian music, especially the work of Ravi Shankar in high regard. a�?I think Indian music is really influential. A lot of western artistesA� I know who have studied it say it has had an impact on their work.a�? She adds that the jazz scene in India is a�?underestimateda�? but she is confident that a�?ita��s going to be big soon.a�? She says; a�?There are a lot of accomplished musicians here setting high standards and making new sounds and turning heads.a�? After finishing up with her Indian commitments, Carter has a tour in Holland and an album, Diggina�� the Duke, in December, which will showcase her take on songs by Duke Ellington. Paint your dreams, they say. Now with Play Arta��a two-hour interactive workshop being conducted by Apparao Galleries and NalandaWaya��you can paint your worries, too. a�?We will use art as a medium to explore emotions,a�? says Sriram Ayer, founder and CEO of NalandaWay, a non-profit organisation. a�?While our core area is working with marginalised children, we also wanted to reach out to children from an urban background as the challenges they face are not dissimilar,a�? he adds. According to Iyer, over 10 years of work has shown how art can help in healing, reducing depression and even with performance at schoola��by boosting a childa��s confidence. And with adolescent depression being significantly high nowadays and youngsters battling self-esteem issues, such exercises are key, he explains. a�?We are targeting youngsters (13 to 20) as this is when they discover their identity and start to think of themselves in relation to their peers,a�? says Uma Viswanathan, head of projects at NalandaWay. a�?Once the art helps them to open up, we will discuss their work and speak about their belief systems,a�? she says. Ayer plans to make his association withA� Apparao Galleries a long term one. a�?I want to hold monthly workshops, to use art to speak about education, behaviour, social change and more,a�? he signs off. From classes on puppetry andA� dance to workshops that revive and sustain an interest in our crafts and architecture, DakshinaChitra is always trying to keep our history alive. 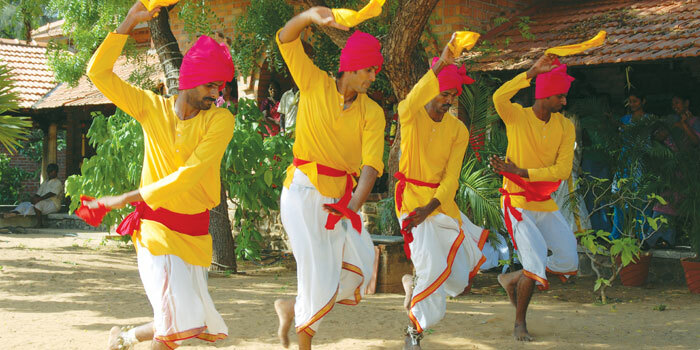 Its most recent initiative is a three-month certificate course in traditional Tamil folk performing arts. a�?We will be teaching Oyilattam, Devarattam and Silambattam, beautiful dance forms in themselves, but also something that people can pick up quite easily,a�? begins Lakshmi Thyagarajan, the centrea��s education coordinator. They had successfully conducted a similar course over three years ago. a�?The first edition was a six-month course, where we taught Thapattam, too. But this time, we are going with a shorter format as people wanted something quicker,a�? says Thyagarajan, explaining that the course is targeted at college students and adults, and participants can continue their studies even after the coursea��s completion. 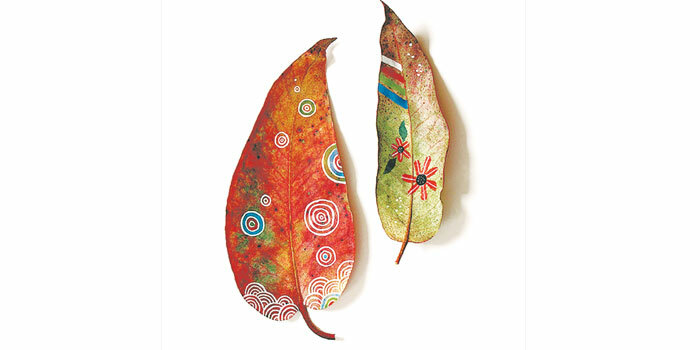 The course will be conducted by Kannan Kumar, a folk art specialist. a�?Hea��s been with DakshinaChitra for 22 years and he will take both theory and practical classes,a�? she says, adding that participants will also be given a platform to perform at DakshinaChitraa��s festival celebrations. While they plan to continue the course next yeara��with other performing artsa��Thyagarajan says there is also a plan to start a three to six month course in glass work, ceramic and terracotta. Juggling jesters and trapeze artistesa��this circus imagery will getA� a new spin with the French troupe, Trois Fois Rien (Three Times Nothing), coming to town this week. The decade-old circus company from France offers a unique brand of theatrical circus that has most of the traditional elementsa��the trio is professionally trained in juggling, acrobatics, hand-balancing and the likea��but served with poetry. As LA�naA?g Fanniere, one of the trio, explains, a�?We try to ensure that the universe we create is transcendental and imaginary, with a touch of magic. The poetry may appear suddenly in a scene that is light, absurd or unreal.a�? The company, which was awarded the Peoplea��s Choice Award at Festival du Grand Bornand in 2008, and has performed more than 200 times, is in the city as part of its first international tour. And unsurprisingly, the artistes are thrilled about a�?going internationala�?. The significance behind the name a�?Three Times Nothinga��? The name comes from a French expression that means a�?next to nothinga��. But there is another French expression that states that with next to nothing, one can do a lot. We identify with this. There is no need for trickery or grand gestures to depict deep emotions. What inspired three acrobatsA�to take this up? What made us follow this profession was the pleasure that performing circus techniques brought us. We have each found a discipline in which we have evolved. Wea��ve worked hard to make our passion a profession. What will remind audiences of a traditional circus? Even though we are part of what we call a�?new circusa��, our base techniques are the same as that of traditional circuses. The technical nuances are the samea��the difference being how they are followed on stage. A traditional circus must conform to certain rules of the genre. We try to follow something more artistic. What can the Chennai audience look forward to? The show is about a meeting between three people, which is a storehouse of magic. They squabble for a large mysterious book, juggle five balls, balance on their hands and jump over each other to defy the laws of weightlessness. All of this is set in a universe that is very graphic and aesthetic. Your plans after Chennai? A new show? We will tour India for three weeks with the support of eight Alliance FranA�aise institutions. We will visit Thiruvananthapuram, Pondi-cherry, Bangalore, Hyderabad, Mumbai, Pune and Kolkata. We are also working on a new project, which will be under a tent. At the Sir Mutha Venkatasubba Rao Auditorium, 7.30 pm, on November 5. Entry is free. INDIAN fashiona��s enfant terrible may be notorious for his antics off-ramp, but ita��s his ability to consistently deliver cutting-edge style that makes Rohit Bal a designer who deserves respect. Earlier this month, couture icon Christian Louboutin was seen in a signature red bandhgala at Bala��s Wills Lifestyle India Fashion Week (WIFW) finale titled Gulbagh. 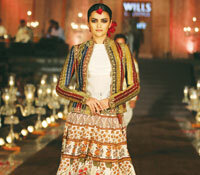 The show had models swaying past in soft ivory saris and velvet lehengas, with dark kohled eyes, dewy lips and deep red roses in their hair. It was a brilliantly conceptualised story, with the Qutub Minar as the backdrop. That Bal (Gudda to friends) has a canny knack for both refined drama and business is evident. 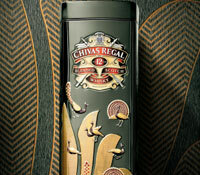 The latter includes projects for the masses like pret collaborations with brands like Jabong and Biba, as well as his involvement with Linen Club, Chivas Regal, Mitsubishi, Rolls-Royce, Zippo lighters, Titan Nebula and Kirtilal Jewellers. Luxe villas in Goa are next (designed and decorated by him), and he unapologetically admits that future endeavours will range from carpets to cars, via home accessories and interior design. Bringing together these diverse strands is the Rohit Bal Luxury Wedding brand, which delivers the final word in lavish weddings. Known as the high-rolling, hard-partying designer everybody wants to be friends with, Bal, in his 50s, certainly knows a thing or two about creating a fantasy. His 25 years in the industry have been well spent. We catch up with him as he takes a breather between the success of his Gulbagh collection, and the start of the forthcoming wedding season. A proponent of high street as well as high end fashion, Bala��s designs have impact beyond the ramp, through collections with brands including Biba, Linen Club and Jabong. a�?a�?These collaborations help us to make the product much more accessible to tier two, three and four cities, and not just the cosmopolitan crowd,a��a�� explains Bal. Unwilling to pick a single pret piece that defines his style, he shares that hea��s most happy with the focus on the classic yet contemporary silhouettes, whether it be the anarkali, lehenga or sari. 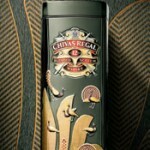 But he explains that couture involves taking each piece a�?to the next levela��, making it a true piece of art. a�?a�?Leta��s say if you had an original painting and decide to make a print of it a�� thata��s pret. As pretty as the original, but pret,a��a�� he explains, with characteristic lighthearted candour. Coming back to where all the action was this year a�� Bal at the WIFW finale a�� it is laudable that the designer continues to celebrate his roots. This time, the Mughal gardens of Kashmir offered inspiration. 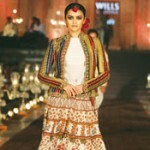 And the lotus and peacock motifs that have come to represent the Rohit Bal brand were in abundance. Explaining that the focus on two Indian national symbols was never conscious, Bal adds that the contrast between them sums up his design philosophy. a�?a�?They represent the range of my design,a��a�� he says. 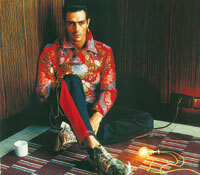 a�?a�?From the extreme simplicity and natural beauty of the lotus, to the opulence and borderline arrogance of the peacock.a��a�� At the finale, Bala��s longstanding friend and actor, Arjun Rampal, took to the runway in a black bandhgala and jodhpuri trousers, while French designer Louboutin cheered from the sidelines. a�?a�?Louboutin has been a dear friend for many years, as I was the first Indian designer to use his shoes for my shows. Now hea��s wearing my clothes to all his parties! Ita��s a fantastic compliment when another designer wears your clothes,a��a�� concludes Bal. At a recent wedding held in Bangalore for Sidharth Menda of the RMZ group, the ballrooms of The Leela Palace saw a burgundy and gold palette for the ceremony, with spectacular peacock floral structures and lotus motifs on the upholstery. But the reception was modelled on the Versailles Palace, with a jazz quarter and huge floral panels. a�?a�?Rohit has such vast experience of the country, so whether ita��s Kashmir, Hyderabad, Bangalore or Delhi, he has a very good sense of where things come from, and how to use tradition appropriately, but also how best to deviate from it,a��a�� observes his partner, Bajaj.